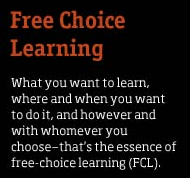 I’ve plunged into the Free-Choice Learning Lab pool and now I am completely immersed in the world of cyberlearning! As an incoming Marine Resource Management student, I am excited to support the efforts of Dr. Shawn Rowe and assist with the implementation of the cyberlab at Hatfield Marine Science Center (HMSC). My work will be focused on the multi-touch table research platform that Katie and Harrison have previously blogged about. This unique technology will provide an incredible opportunity to explore cyberlearning in an informal science setting. Cyberlearning was a new term for me and the definition is still evolving between researchers, educators, and those in the technology field. In 2008, the NSF Task Force on Cyberlearning initially defined the word as “the use of networked computing and communications technologies to support learning.” A Cyberlearning Summit was held in January 2012 with 32 speakers giving TED-talk style presentations on topics that included digital learning using mobile technologies, collaborative knowledge-building through social networking, and scientific inquiry through online gameplay. It was apparent how excited and passionate these speakers were on sharing their work and encouraging new methods for learning opportunities in different educational settings. Blending emergent technology and educational content has sparked my imagination. What could be possible for HMSC as a cyberlearning location? It would be incredible to walk up to an exhibit and have the content personalized to my interests based on data collected from previous visits. Is it possible for the exhibit to know that I was fascinated by the life in intertidal zone (based on my manual inputs or eye-tracking), and then present additional knowledge through an interactive game? This game could simulate a tide pool and I would need to apply what I have previously learned to keep a digital sea creature avatar alive. Then I could share my sea creature’s experience with my friends on social networking sites…hmmm. So many research questions could come from this. Exciting days are up ahead!